Dialogue on Race Theme is Relationships that Challenge Racism. 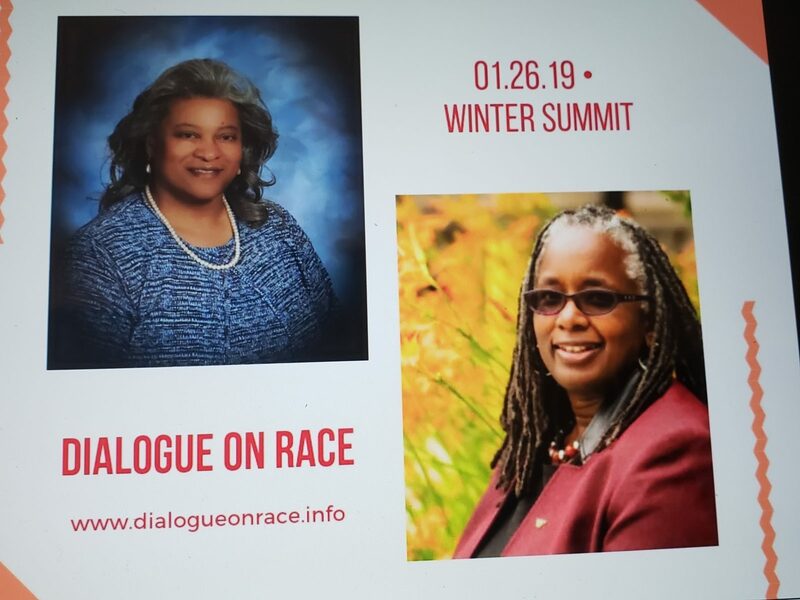 Today was the Dialogue on Race Winter Summit. Today, the gathering was amazing. 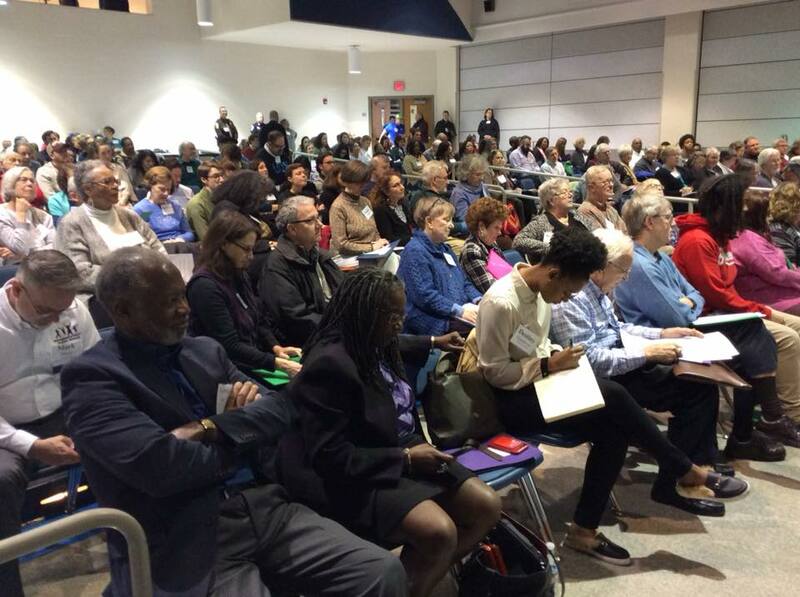 Almost 200 people — diverse by race, by generation, by gender — gathered to have a dialogue on race, focused on African-Americans and action steps for change. The founder and visionary of the Dialogue on Race, Penny Franklin, and I were asked to have a conversation around the theme: How do we develop relationships that challenge racism? 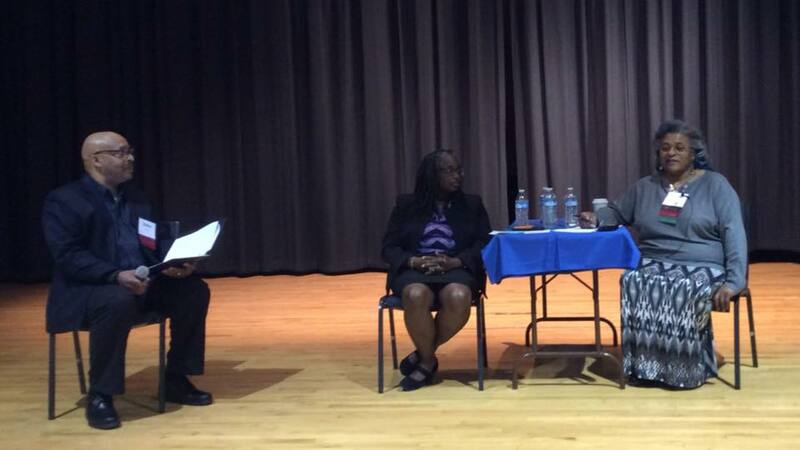 Although the focus was on African-Americans, Penny and I both shared examples and experiences about Native Americans. We know that there are connections among all marginalized and oppressed groups. The moderator asked me to share about our work at Virginia Tech around our motto – Ut Prosim (that I may serve). I shared that at Virginia Tech, I believe we have a unique opportunity, through the Ut Prosim Difference, to distinguish and differentiate ourself as an institution based on the integration of the value of diversity and difference into the core of the academic mission. I believe that our motto requires us to prepare students to be of service to anyone at anytime and anywhere. In order to do this, we have to prepare them to enter into difference spaces; have a sensitivity for different identities; be culturally competent; and be an advocate for inclusion. Service can challenge racism if it is understood not as helping others — but rather being in a mutually affirming engagement that advances humanity as a whole. It is not about paternalism; it is about acknowledging different levels of privilege, power, and knowledge; it is about recognizing that everyone can add value and contribute, regardless of their environment, background, identity, and experiences. The concept of “being of service” should challenge racism by creating the human relationships and connections that challenge stereotypes of generality and create specific individual opportunities for engagement, learning, and conversation. Penny shared about her vision that led to the Dialogue. I appreciate and admire Penny Franklin. She is a frank, honest, authentic Black woman. A woman who reminds me of powerful Black women leaders – Fannie Lou Hamer, Mary McLeod Bethune, Dorothy Height, Shirley Chisholm. Black women who forged changed – seemingly single handedly—building community and building coalitions across race and across gender to move mountains and create revolutions – changes and shifts. There were two moments that stood out for me during our dialogue. The first – a conversation about having to smile often – as Black people – so that White people do not feel intimated by us. I shared a story of a Black male colleague – who in the winter – takes off his coat when he goes into Kroger so that he will not be followed, and that he tries to smile and be polite and speak kindly. And Penny said, “That’s a problem. Why do we have to smile all the time?” She said, “I’m not going to do that. That isn’t even natural.” She said she was not going to keep smiling to make Whites feel better and that Black people shouldn’t have to do that. The line: “We smile, but O great Christ, our cries to thee from tortured souls arise” speaks to me so powerfully. Penny and I talked about the pain of being the only ones at social events; of not being spoken to; of the aloneness of the minority status. We talked about carrying home the trauma of our experience in the world; having to continue to process and talk and discuss what happened; of wondering if our experience is because of our personality, our race, or our gender. Yes, Penny is right. We shouldn’t have to smile when we don’t want to. We shouldn’t have to dress a certain way to go grocery shopping. But, we often do. Our skin color – it makes a difference in our world and in our life experiences. I hate that word. “Qualified.” Only minorities have to be qualified. That word is never used for majority populations. Ever. Only minorities have to have that adjective. And many minorities are “out,” remain “outside,” on the periphery, waiting to be noticed, hoping that a “minority” name on a resume doesn’t lead it to be ignored, hoping to be “qualified,” and hoping that the day they show up for the interview with their skin of difference, that the stereotypes of being “unqualified” doesn’t outweigh the reality of their qualifications. How many elementary, middle, and high school teachers – applying for their first jobs – are qualified? I believe that most of the young White women who apply for their very first teaching jobs are not qualified. In fact, 82% of elementary and secondary teachers are White (primarily female), while only 51% of the students are White. (The State of Racial Diversity in the Educator Workforce, July 2016). So, these White women are often going into public school settings that are extraordinarily diverse, and yet they, themselves, have never been in diverse environments, or interacted with communities of color. As such, many of these young White women are not prepared to teach these young students of color. Many of the young White women are so unfamiliar with students of color that they are reporting them beginning in pre-school and continuing through high school — for discipline, for suspension, and for removal out of their classrooms, out of a learning environment and into a criminal setting. It is often these women who are responsible for the school to prison pipeline — criminalizing childhood behavior – choosing the simple and easy step of reporting and removal, rather than engagement, creativity, and inclusive pedagogy. This incompetence (and racism) is not solely the fault of the recent graduates for they are being educated in institutions with faculty who do not have the experience, the education, the expertise, or life engagement to prepare their students to teach diverse populations — children of color, children of immigrants, children with different languages, children with different learning abilities. So, who might be more “qualified” – even as recent graduates – to teach students of color and majority students? Perhaps “unqualified” minorities — people of color who have overcome tremendous obstacles to get the same degree — who have passion, discipline, commitment, dedication, and unique ways of seeing and being in the world, and as such, are imminently qualified? These conversations on our different experiences as African-Americans in the United States — on the basis of race — are necessary. Penny said that it is we, African-Americans, who will need to teach Whites. That’ s true. We have a huge responsibility, yet there are so few of us and so much work to be done. The Dialogue on Race helps build the army across race, gender, age and other identities to do this work. We need to have more of these difficult dialogues and conversations. 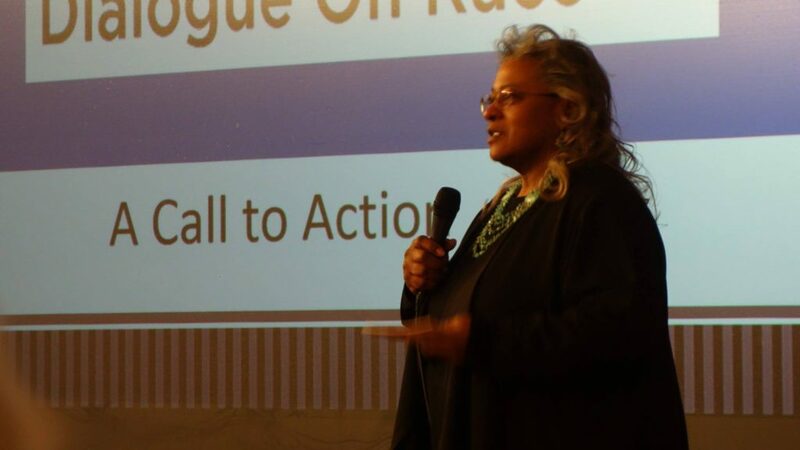 Thank you, Penny Franklin, and the Dialogue on Race, for creating spaces for dialogue, debate, discussion, and most importantly actions to eliminate racism in Montgomery County. Thank you Menah, for coming to our community for being willing to step off the TV campus and to share you wisdom. Your words related to “being qualified” should be hanging in every HR office and anywhere hiring is taking place. I pray that there were words spoken that the choir had not heard new songs because all choirs need practice. The Personal Action Plans are just that. I thank everyone who has attended a DOR Summit , is a member of a focus group,has been a sponsor,The members of the African American Community who came together to answer the question(what is it like for you living in Montgomery Co.) The DOR Steering Committee, The Community Group for agreeing it’s time. And above it all I Thank My God for the Blessing to understand Injustice and the strength to stand against it.